Most people migrate to Canada through Express Entry. Introduced in Jan 2015, the Express Entry system was designed to ensure that Canada can meet its current and future labor market needs while securing long-term economic growth. Introduced in January 2015 the Express Entry system was designed to ensure that Canada is able to meet its current and future labor market needs while maintaining long-term economic growth. Overall the Express Entry system has conducted 52 draws since its introduction and a total number of 71,081 Invitations to Apply (ITAs) issued in that time. The Express Entry system was introduced by the Immigration, Refugees and Citizenship Canada (IRCC) and is used to select candidates for immigration to Canada through many of the Federal Economic Immigration programs. Candidates who intend to apply for immigration through the Federal Skilled Worker Class, Federal Skilled Trades Class and Canadian Experience Class are required to do so through the Express Entry system. As the main driver of economic immigration to Canada, the Express Entry system is a flagship program that aims to fast-track immigration to the country. We look at how far the Express Entry system has come since its introduction over two years ago, whether it is fulfilling its objectives and what this means for you as an applicant. The Express Entry program was launched in January 2015 and is aimed at inviting candidates to apply for Canadian permanent residence through certain economic programs such as the Federal Skilled Worker Program, Federal Skilled Trades Program, Canadian Experience Class and some sections of the Provincial Nominee Programs. Applications through the Express Entry system benefit from faster processing times preventing backlogging of cases and improving the economic possibilities of immigrants by ensuring that skilled newcomers with the best chances of success in Canada’s labor market are invited to apply rather than those who happen to be first in line. Only the highest ranking candidates are given an invitation to apply for Canadian permanent residence. The eligible candidates are required to create a profile which is submitted to the Express Entry pool. Once their profile has been successfully created candidates are given a CRS score which helps determine their ranking in the pool. The IRCC through its regular draws will then issue candidates with an ITA. As of last month, the IRCC introduced a number of improvements to the Express Entry system which were created to make sure that more candidates are invited to apply based on their human capital, skills, and experience. The introduction of the Express Entry system also increased the responsiveness of the labor market enabling employers to have greater control and a direct role in recruiting economic immigrants to Canada. All jobs offered to Express Entry candidates are required to be supported by a Labour Market Impact Assessment (LMIA). During the early stages of the Express Entry system, the majority of the admissions in 2015 came from applications submitted before January 1. These early draws also included a large number of applications from foreign nationals already working in Canada and many of whom were given ITAs because they had job offers supported by the LMIA which subsequently saw them awarded up to 600 points. In the first 10 draws conducted through the Express Entry system and spanning a period of 6 months, there was a total of 11,353 ITAs issued to candidates. The first draw was conducted on January 31, 2015, and since then the Express Entry has developed into one of the most efficient immigration programs in Canada. At this point, it is important to note that the number of invited candidates can be lower than the number of invitations sent. This is the case because, some candidates can receive more than one invitation and Express Entry candidates may decline an invitation, return to the Express Entry pool and still be eligible to receive another invitation. In time, the number of ITAs issued under the Express Entry system have continued to rise as the CRS points that are required decline. Improvements were made to the system in the fall of 2016 in view of continuing this trend. The changes and improvements made to the Express Entry system came into effect on November 19, 2016, and were aimed at creating a fair immigration system that seeks to address emerging needs and ensure long-term economic growth for the country. The improvements include awarding of points for job offers to eligible candidates already in Canada with LMIA-exempt work permits and to international students who completed their education in Canada. In addition, more time will be allocated to candidates to submit an application for permanent residence once they have received an invitation to apply. Points will be awarded for job offers of eligible candidates who are on LMIA exempt work permits. Many foreign workers in Canada who are temporarily on an employer specific LMIA-exempt work permit, but who want to stay in Canada permanently, will no longer need to get an LMIA to be awarded job offer points by the CRS. This includes candidates who are here under the North America Free Trade Agreement, a federal-provincial agreement, or who are intra-company transferees. The candidates must meet certain criteria, such as at least one year of work experience from the same employer who is providing their job offer. Job offers will only need to be a minimum of one year in duration once they receive permanent residence. By changing the job offer requirement from permanent to one year means that more highly skilled candidates working in contract-based industries will have a higher likelihood of receiving an invitation to apply for permanent residence. Points awarded for job offers will be reduced. A total of 50 points will be awarded to candidates with a valid job offer in a National Occupational Classification (NOC) 0, A or B occupation, while a total of 200 points will be awarded to candidates with a valid job offer in a NOC 00 occupation. The number of points awarded for a job offer, often made it hard for highly skilled candidates without job offers to get an invitation to apply. This change means Canada will now welcome more highly skilled candidates whose skills and experience will help support and grow the economy. The change in points for job offers will now also better recognize the skills and experience required for the job, together with the value that it brings to the economy. Points will now be awarded for study in Canada above high school. The CRS will award 15 points for a one or two-year diploma or certificate and 30 points for a degree, diploma or certificate of three years or longer including a master’s, professional or doctoral degree. With these changes, more former international students will be able to transition to a permanent residence using the Express Entry system. Former international students are a key source of candidates in Express Entry because of their age, education, skills, and experience. 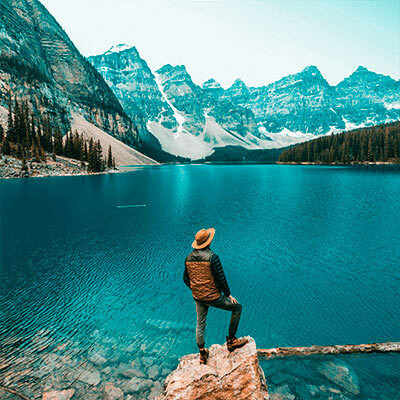 In addition to the time already spent in Canada, integrating into Canadian society permanently will be easier because they will have established social networks and familiarized themselves with life in Canada. Candidates will now have 90 days to complete an application for permanent residence if they get an invitation to apply. This will give candidates more time to gather all the required documentation and submit a complete application. Since the new changes came into effect on November 19, 2016, the Express Entry system has had 5 draws and the point that stands out is that the number of ITAs issued has progressively increased and the number of CRS points required has also significantly decreased. In the new year of 2017, the government of Canada is seeking improved ways to make immigration to Canada easier and less time consuming. The new and modernized way of applying for a Canadian visa through the Express Entry system is one of these ways and the Immigration program for this year has set a target of receiving 300,000 new immigrants into the country, the highest number ever to be sanctioned by the government in recent history. The target number of new immigrants through the economic immigration programs such as the Federal Skilled Worker Class, Federal Skilled Trades Class, and Canadian Experience Class has increased by 23%, this means that this year there are many opportunities available for immigration to Canada. At CanadianVisa.org our authorized representatives have an in-depth knowledge of all the different systems and immigration procedures to ensure the most efficient ways to reach the quickest and most suitable visa program for each individual client. Apply today and let us help you make 2017 the year when moving to Canada will be more than just a dream. Read the latest news about the recent Express Entry draw HERE.